Reliable grooving and parting off. CoroMill 331 is a highly productive choice for reliable, multi-purpose side and face milling with high precision. 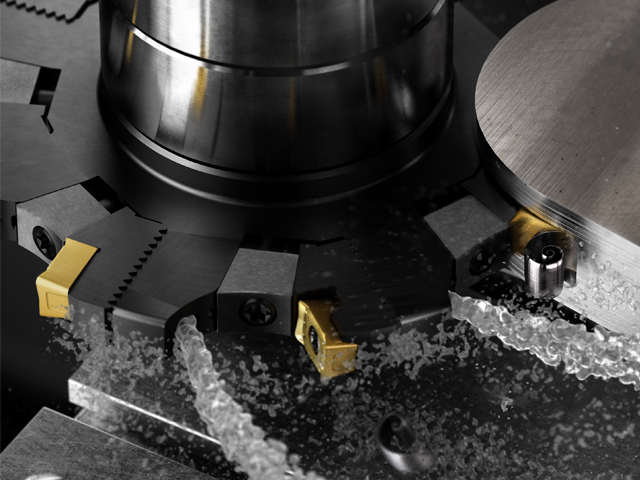 The cutter is now available with new, valuable features such as internal coolant, more light-cutting geometries and surface treatment on the wedges, to bring your groove milling operations to a new level. The internal coolant solution provides excellent chip evacuation – critical for groove quality and process security. The M30 geometry delivers reliable ISO P and ISO K machining in weak set-ups and long overhangs. The L30 and L50 geometries provide great security, quality and tool life in ISO M and ISO S applications. Click here to see a Customer Performance Case with a tool life increased of 24%.